Jisung was about to touch it when it wagged its tail... Making the leader flinched. 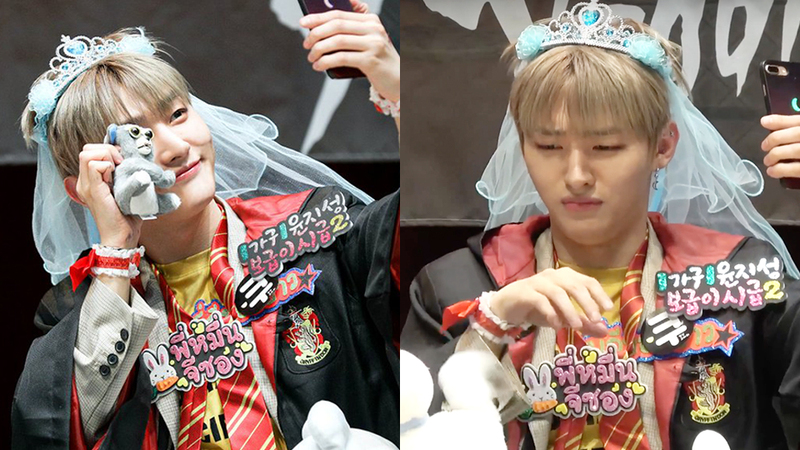 At a past fan sign, Wanna One’s Jisung was even various kinds of accessories by fans that he managed to put on most of it before he was about to take a selfie in that dress up. 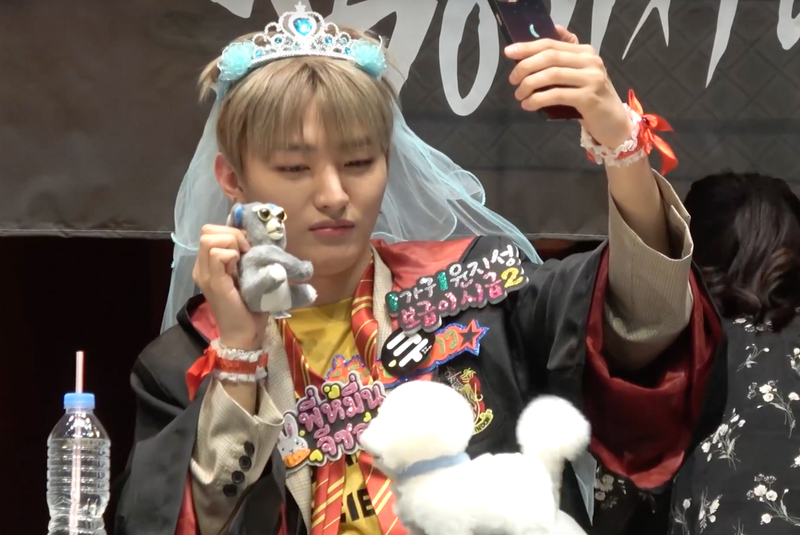 Jisung was posing for the phone camera with his blue veil when a toy puppy got stuck in front of him. Jisung stared at the toy puppy up until it got stuck and was about to reach for it when the puppy was wagging its tail really hard that the leader flinched. 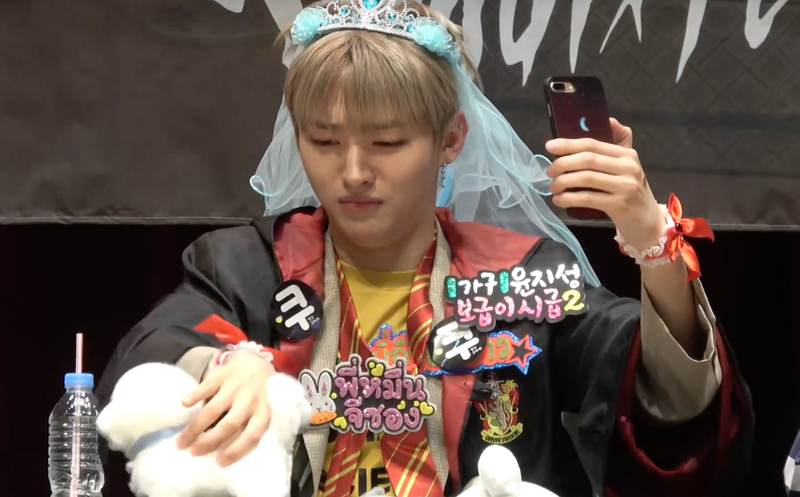 Seeing how it was still stuck despite him moving it, he recollected the dolls he put down a while ago before continuing with his selfie taking. Watch the moment at the 0:59 mark in the video above!